Futhark: International Journal of Runic Studies 2 (2011, publ. 2012), 123–43. 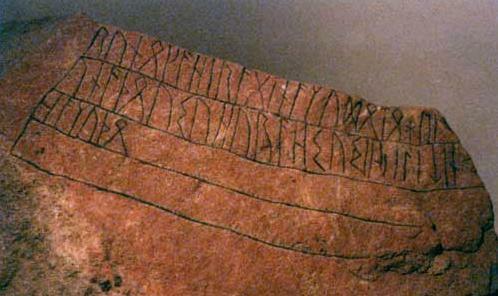 The Anglo-Saxon rune-name sigel has been interpreted as meaning ‘sun’. In some contexts Old English sigel does refer to the sun, in others it means ‘clasp’, ‘brooch’, or ‘jewel’. All these meanings, however, are difficult to reconcile with the maritime imagery of the Anglo-Saxon Rune Poem’s sigel stanza. I suggest that the poet has exploited Christian metaphor based on an interpretation of the Hebrew letter-name zaith as zayith ‘olive’, and that the imagery of the sigel stanza refers to the olive branch brought to Noah on his Ark, as well as the oil of chrismation, which was also referred to as the Seal of the Holy Spirit (Latin sigillum). The Nordic Rune Poems would appear to have taken their cue from their Anglo-Saxon counterpart and associated the seal with Emperor Constantine’s vision of the Cross in the sun’s halo and the decree that this sign be emblazoned on his army’s shields. This article is part of a wider study in which I challenge commonly held views that the apparently everyday, meaningful names given to runic characters — such as Old English hægl ‘hail’, lagu ‘water’, man ‘man’, or dæg ‘day’ — had a purely indigenous, northern European origin, coeval, or virtually coeval, with the creation of the runic script itself and independent of the traditions of the Mediterranean alphabets.